Engaged readers make better writers. 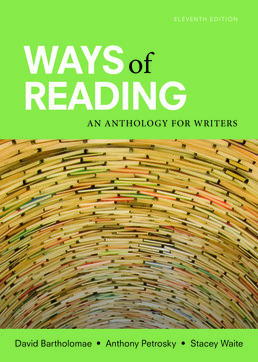 Ways of Reading invites you into conversations with influential thinkers and writers, helping you learn the skills necessary for academic work. Through rereading complex texts, writing about them, and making connections with other texts, you’ll become a more critical thinker and a better writer—one who can succeed in any college course. This book includes the essays and assignments you need in order to do your coursework. Atalanta," and "Of the Training of Black Men." Anthony R. Petrosky, the Associate Dean of the School of Education at the University of Pittsburgh, holds a joint appointment as a Professor in the School of Education and the English Department. Along with Stephanie McConachie, he codirects the English Language Arts Disciplinary Literacy Project in the Institute for Learning (IFL) at the Learning Research and Development Center. As a part of this Institute project, he has worked with professional learning and curriculum development in English for school and district leaders in the public schools of Austin, Dallas, Denver, New York City, Fort Worth, Prince George’s County, and Pittsburgh. McConachie and Petrosky are the coeditors of Content Matters: A Disciplinary Literacy Approach to Improving Student Learning, a 2010 collection of reports on the IFL Disciplinary Literacy Project, as well as coauthors of chapters in the book. Petrosky served on the Reading and English Common Core Standards Project for the Chief States School Officers to develop common core reading and English standards for the US. In conjunction with this project, he also is a member of the Gates Foundation funded Aspects of Text Complexity Project to develop procedures for assessing text complexity for the common core reading and English standards. He was the Principal Investigator and Co-Director of the Early Adolescence English Language Arts Assessment Development Lab for the National Board for Professional Teaching Standards, which developed the first national board certification for English teachers. He has also served as Co-Director of the Western Pennsylvania Writing Project. He was a researcher for the MacArthur Foundation funded Higher Literacies Studies, where he was responsible for conducting and writing case studies on literacy efforts in the Denver, Pittsburgh, Toronto, and the Ruleville and Mound Bayou school districts in the Mississippi Delta. He is past Chair of the National Council of Teachers of English (NCTE) Committee on Research and a past elected member of the NCTE Research Foundation. His first collection of poetry, Jurgis Petraskas, published by Louisiana State University Press (LSU), received the Walt Whitman Award from Philip Levine for the Academy of American Poets and a Notable Book Award from the American Library Association. Petrosky’s second collection of poetry, Red and Yellow Boat, was published by LSU in 1994, and Crazy Love, his third collection, was published by LSU in the fall of 2003. 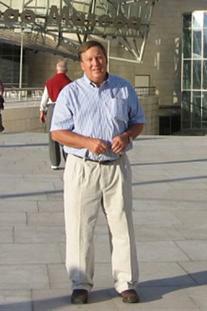 Along with David Bartholomae, Petrosky is the coauthor and coeditor of four books: Facts, Artifacts, and Counterfacts: Theory and Method for a Reading and Writing Course; The Teaching of Writing; Ways of Reading: An Anthology for Writers; and History and Ethnography: Reading and Writing About Others. 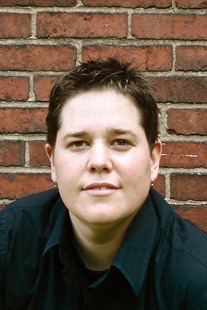 Stacey Waite is Assistant Professor of English at the University of Nebraska—Lincoln where she teaches courses in Composition and Rhetoric and Gender Studies. Waite has published articles and essays on the teaching of writing in numerous journals and anthologies, including Writing on the Edge, Feminist Teacher, and Reader: Essays in Reader-Oriented Theory, Criticism, and Pedagogy. Waite was co-editor of The Best of the Independent Rhetoric and Composition Journals 2011 (Parlor Press, 2012). Having worked with both the Western Pennsylvania Writing Project, and currently with the Nebraska Writing Project, Waite directs and contributes to many writing programs and projects in her community—among them the Young Writers Camp in Lincoln, Nebraska, the Louder than a Bomb Omaha Youth poetry Festival, and the Summer Institute for Teachers. With an interest both in critical and creative writing, Waite has published four collections of poems: Choke (winner of the 2004 Frank O'Hara Prize), Love Poem to Androgyny (winner of the 2006 Main Street Rag Chapbook Competition), the lake has no saint (winner of the 2008 Snowbound Prize from Tupelo Press), and Butch Geography (Tupelo Press, 2013). 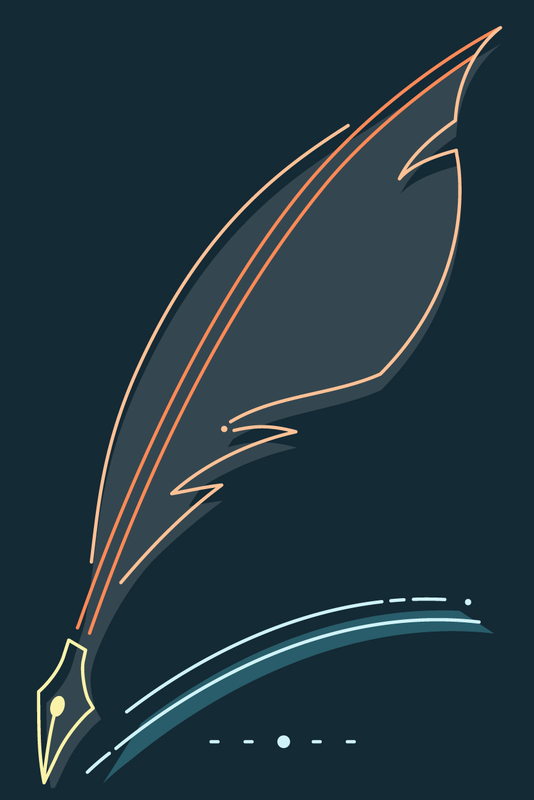 Waite’s poems have been published most recently in The Cream City Review, Bloom, Indiana Review, and Black Warrior Review. Waite is the co-host of the radio podcast Air Schooner produced by Prairie Schooner and is Senior Poetry Editor for Tupelo Quarterly. Waite has been teaching writing using Ways of Reading since 1999, has worked on the selections and apparatus for the book since 2006, and is now co-editor of the textbook. She has given several invited talks addressing the pedagogy of the textbook and working with teachers of first-year writing to scaffold and shape their semesters using Ways of Reading.